A Standish woman was struck and killed by a Toyota Corolla Monday afternoon on Whites Bridge Road. A 69-year-old Standish woman died Monday afternoon after she was struck by a car on Whites Bridge Road. 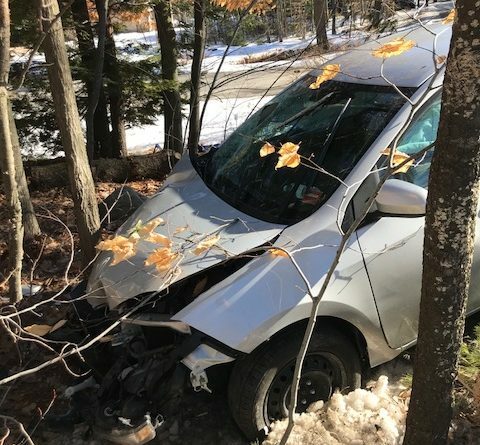 Eileen Garroway was walking near Pond Road at about 2:45 p.m. when she was struck by a 2015 Toyota Corolla driven by 20-year-old Nicholas Breed of Topsham, according to a release from Capt. Scott Stewart of the Cumberland County Sheriff’s Office. Garroway died at the scene. Breed was not injured, Stewart said. Whites Bridge Road was closed between Route 302 in Windham and Route 35 Standish for nearly an hour. The crash is being investigated by the Cumberland County Accident Reconstruction Unit.